2. Or send by post to the editorial office: Room 303-3, Peking University Science Park, No. 127-1, Zhongguancun North Street, Haidian District, Beijing, 100080. Please indicate “Submission + Author’s name” on the envelope. 3. Please call (86 10) 62747821 if there is any other questions. As a complex, landscape is a system integrating natural and humanist phenomenon where various processes of nature, biology and social culture have always been interacted. It is also an ecological system, habitat of creature, and home of human beings. Natural process and human history and culture have branded on it. Landscape can be human’s ordinary or uncommon experience of space and aesthetics of scenery, reflecting and embodying spirits and belief of individuals and groups. Papers Column (including research papers, research designs and reviews) seeks discussion on the structure and function of landscape and the law of relation between them, and the natural and humanist process and their relation in landscape, the relation between landscape as a integrated system and human society system, especially the service to human society provided by landscape (including producing and supporting service, environmental conditioning service, and cultural service in recreation , aesthetics, education andspiritual belief). Making comprehensive analysis and criticism related phenomenon and design works, inspiring and provoking thoughts on practice through topic-oriented discussion, dialogue and criticism from multiple perspectives and disciplines. Download the Article Requirements/Template for the above columns. 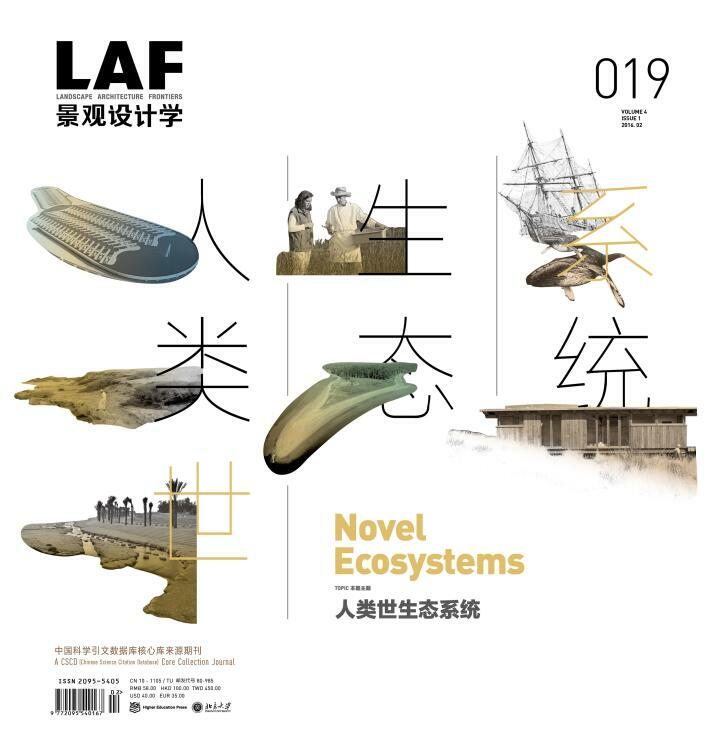 As an international platform for design and communication, most recent and quality landscape architecture works will be presented on this journal, showing exploration and experiment of landscape architecture in solving environmental issues happening in China and the world. Critical and innovative efforts and practice will be encouraged; while rejecting and avoiding obsolete, pedantic or inflexible works. Download the Article Requirements/Template for the above column. 1. We will inform the authors via telephone or email when we receive the articles, then the manuscripts will be first reviewed by editors and sent to peer review by the editorials and professionals in related fields. 2. No multiple submissions within 4 months. If you have not received any feedback information after 4 months, you can do anything with your articles. 3. We do not send back your manuscripts regardless of whether reception or rejection (please note if special requirement is applicable), please maintain the original copy of your articles. 4. Articles will be published in accordance with the scheduled plans of the magazine, not always in sequence of submission. 5. A hard copy of magazine involved your article will be sent to you for free.